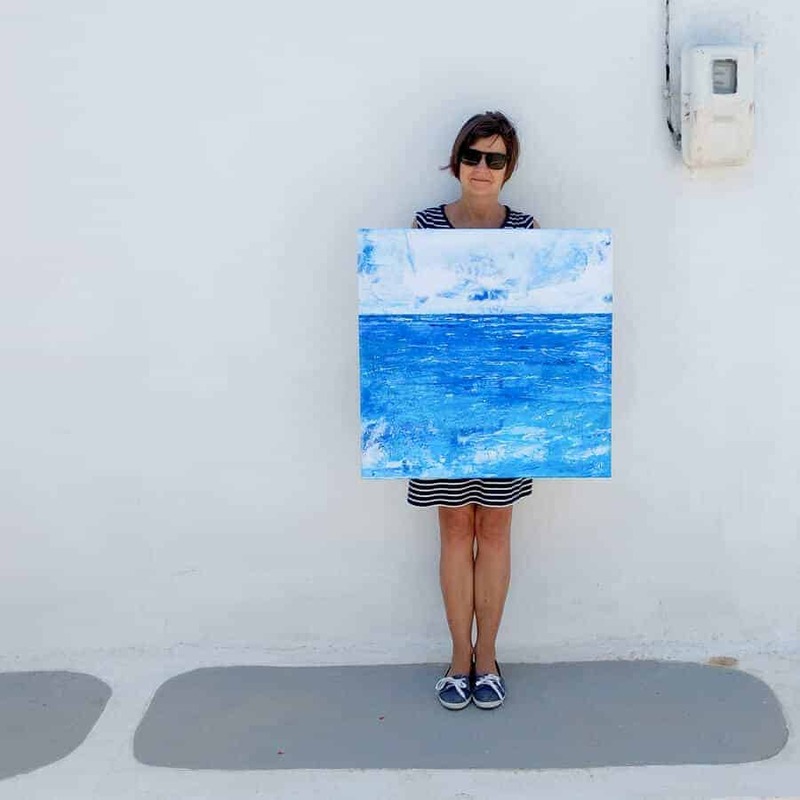 This year, once again, my Solo Summer Exhibition will be held at Ninette’s Dance Studio in Koroni. We will open at 10.30am on the morning of Saturday 14th July and will open for one week until the evening of Sunday 22nd July. The exhibition will be open on both Sundays… so drop in to say hello if you are shopping at the Sunday morning market on 15th and 22nd July. 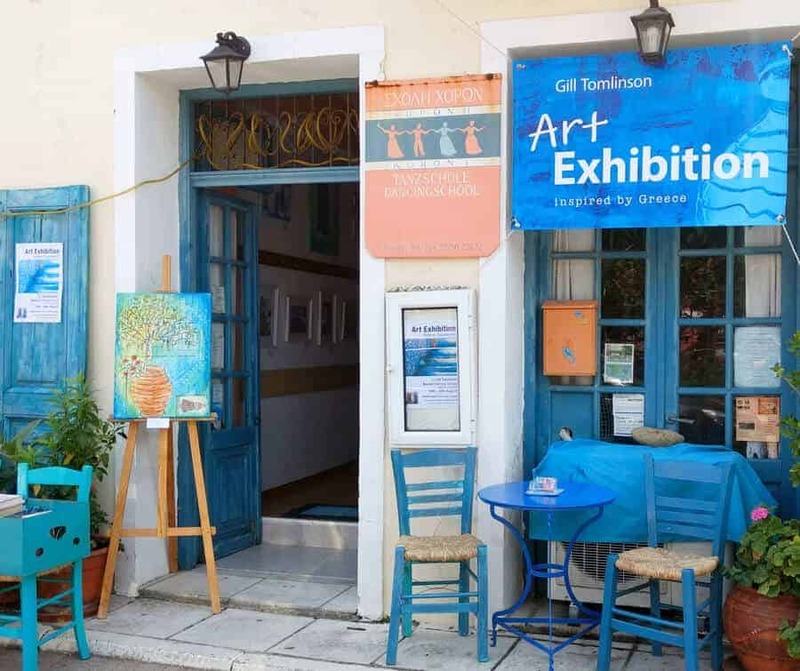 The Koroni exhibition will include new original paintings and postcard-paintings, plus a selection of canvas reproductions and a couple of hand-finished canvas prints. As usual, my latest collection of sketchbooks will be available for browsing at length and I’m always happy to talk art products and techniques! 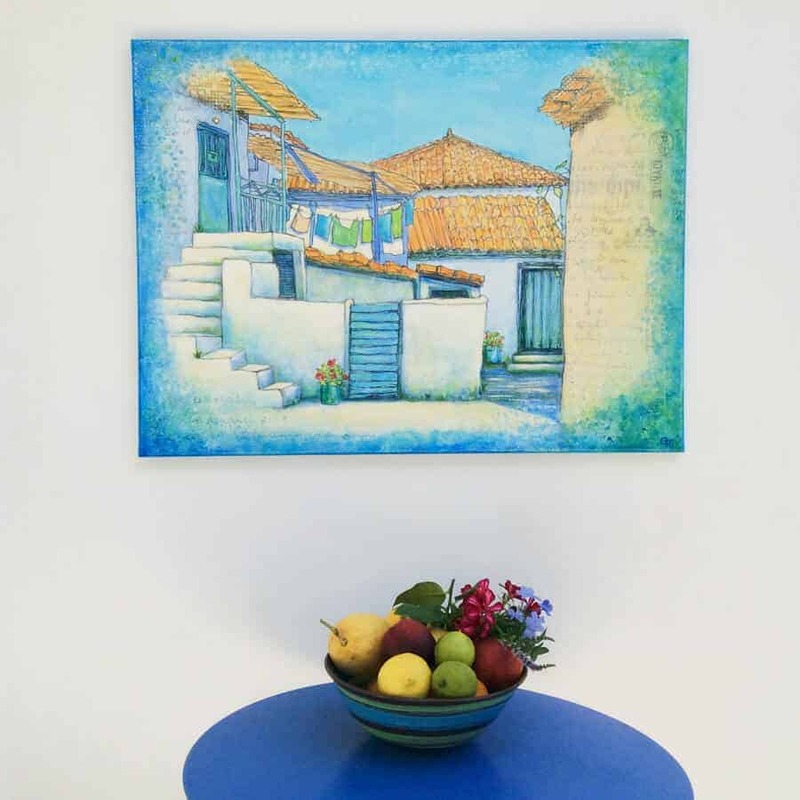 We have invested in some new lighting for the room this year and have a cosy home-decor theme planned which shows off our lovely new art products. 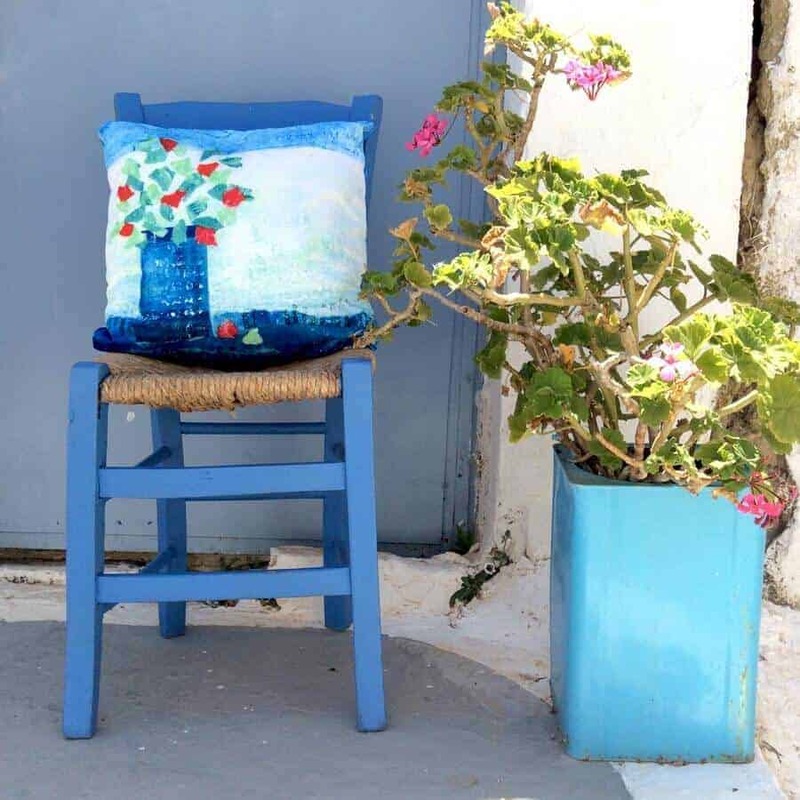 As well as wall art, samples of our brand new cushions and tote bags will be on display… You can place orders during the exhibition or purchase direct from the website and benefit from our Exhibition & Launch Special Offer of FREE worldwide shipping (for orders placed before 22nd July 2018 with the subscribers-only coupon). 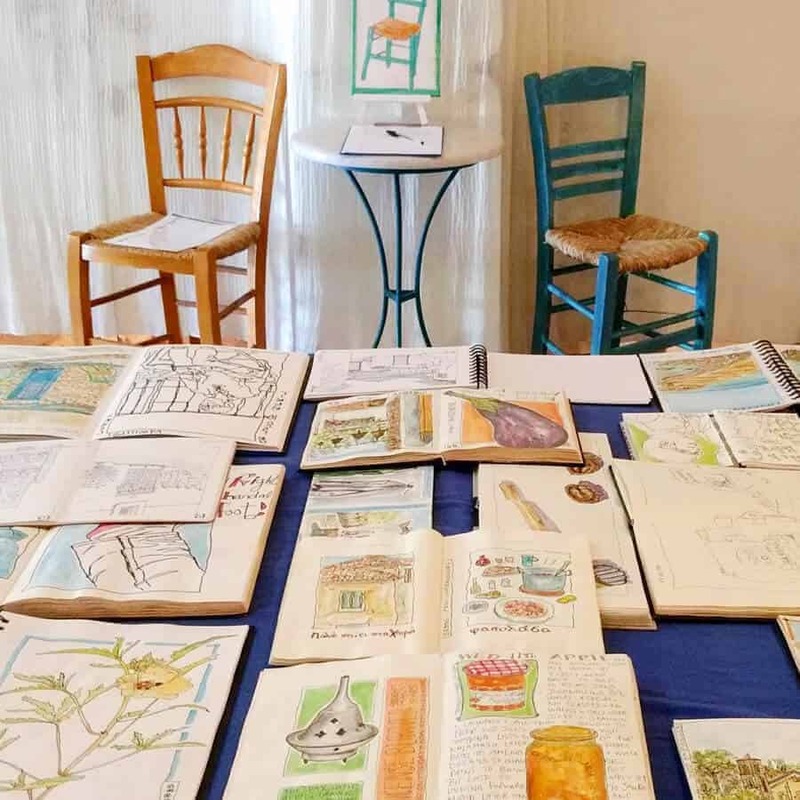 I look forward to seeing you at the exhibition if you are in the Koroni area next week.